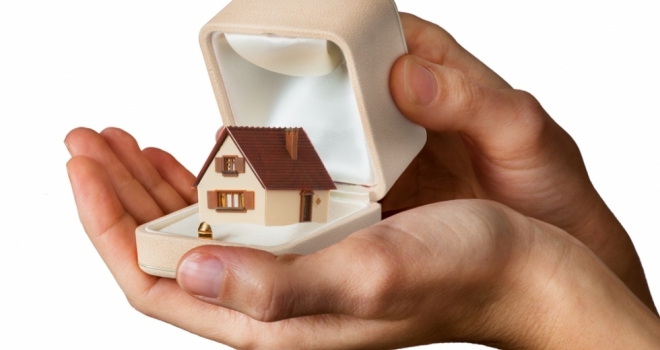 Valentine's Day is usually one of the most popular days of the year for couples to get engaged or decide to move in together, so this week will see many couples up and down the country beginning the search for the first home they'll share together. But where do you start? Be clear about what you're looking for - before you let excitement get the better of you, sit down with your partner and make a list of your property priorities. Think about the practical 'must haves' such as proximity to work, transport links, how many bedrooms you need etc, and then move on to 'nice to haves' and personal preferences; outdoor space, character vs. modern, spare room to double up as an office/home cinema/hobby room etc. Be realistic about what you can afford – Nothing puts strain on a couple like financial worries, so it's important that you're realistic about how far your budget can stretch – this applies whether you're planning to rent or buy. Sit down and work out what both of your outgoings are, including disposable income items like haircuts, nights out, new clothes and big ticket items like holidays. Of course, you may be happy to make some sacrifices in order to afford your dream property, but the costs need to be realistic and sustainable – you might be willing to sacrifice a holiday this year, but by next year the novelty may well have worn off. Stay open minded and willing to compromise – It's unlikely you'll be able to get everything on both of your 'must have' and 'nice to have' lists within budget, which is what makes home hunting together such a great lesson in the art of compromise and why it's so important to prioritise your requirements. Be open minded about what you're looking for – you may both be keen on character properties, but if space and location are on your 'must have' list, a newer property might be more suitable at this point in life. You'll want to be aware of how your needs might change in the future, but this property does not have to be your 'forever home'. Whether you're renting or buying, you're not likely to stay in your first home together for more than a few years, so prioritise what you need now, rather than what you might want in five or ten years. Don't write a property off because of bad online photos - we're all short on time and, as a result, much of our property hunting is now done online. Unfortunately, some vendors still don't seem to quite understand the importance of property photography, but don't let a dodgy, dark photograph stop you from viewing a property if it sounds like it has the space and location you're looking for. In many areas of the UK, demand is far outstripping supply when it comes to both rental property and homes for sale, so it's important that you make it a priority to visit any property that meets your needs on paper, even if it doesn't look that great in the property listing. Keep your emotions in check and use your head – the home hunting process can be one that stirs up strong emotions, and it's easy to become passionate about a particular property that you like. If you and your partner don't immediately agree on a property, it's important to try and be as objective as possible – sit down together and think about the property's pros and cons, how it might work for you as a couple, and what compromises it would require. You may have found the property of your dreams, but your priority should be finding a property that both you and your partner are happy with. Danny Luke, Quick Move Now's Managing Director, commented: “As the most romantic day of the calendar year, Valentine's Day is often the catalyst for couples deciding to take the next step in their relationship; whether that's a proposal or the decision to move in together. Moving in together is an exciting time, but in order to ensure it goes as smoothly as possible there are a few steps that should be followed. Compromise is always a key part of combining two people's styles and likes, and never is that more true than when home hunting with your partner.